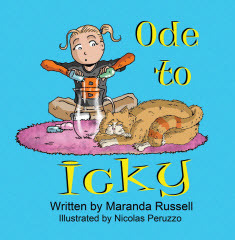 Ode to Icky, by Maranda Russell is the story of Icky, the Cat and her owner, Candy. Candy is up to another of her money-making schemes and Icky is going to help her. The idea is courtesy of Candy’s older sister Kayla and her brand new “Icky” smelling perfume. Icky has been relegated to the backyard because he refuses to bathe. So Candy sees an opportunity and decides she can make a few extra bucks by making her own perfume using some of Icky’s stinky fur. Mixing the fur with water and using a few of her mom’s half empty perfume bottles, Candy creates Ode de Icky…or rather Ode de Iche because the former name didn’t sound fancy enough. Candy sells the perfume the next day, makes some quick cash, but then has to live with the “stinky” consequences. This is a wonderful story that teaches children the concept “for every action, there is a reaction or consequence.” Some good and some are not so good. In the case of Candy, the reaction is her mother’s anger for dumping out her expensive perfume and the confiscation of the money Candy received from selling the homemade perfume. Beautifully illustrated, this is a great book that shows how important it is to think things through before doing something. Not all ideas are good ideas, and Candy had to find out the hard way just how bad an idea it was to sell fake perfume that smells like her stinky cat, Icky. I highly recommend adding this book to family libraries and K-4 schoolrooms. This is the second children's book by Maranda Russell that I have had the pleasure to review. 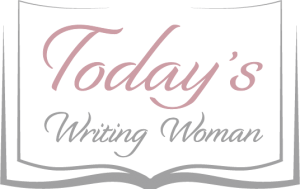 Maranda is a highly talented children's book author and I highly recommend her!